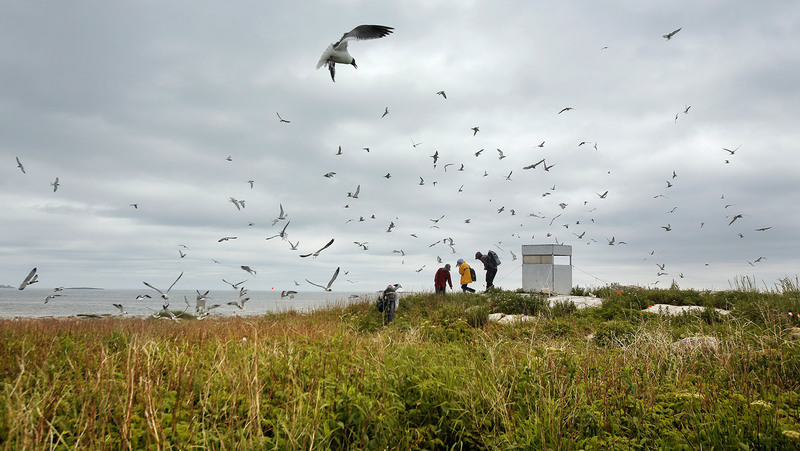 Numerous birds fly overhead as people leave a bird-watching blind on Eastern Egg Rock. The island is one of three islands in the Gulf of Maine where puffin breeding colonies have been established. 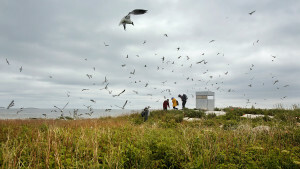 The island is also home to arctic terns and laughing gulls.